Date night! 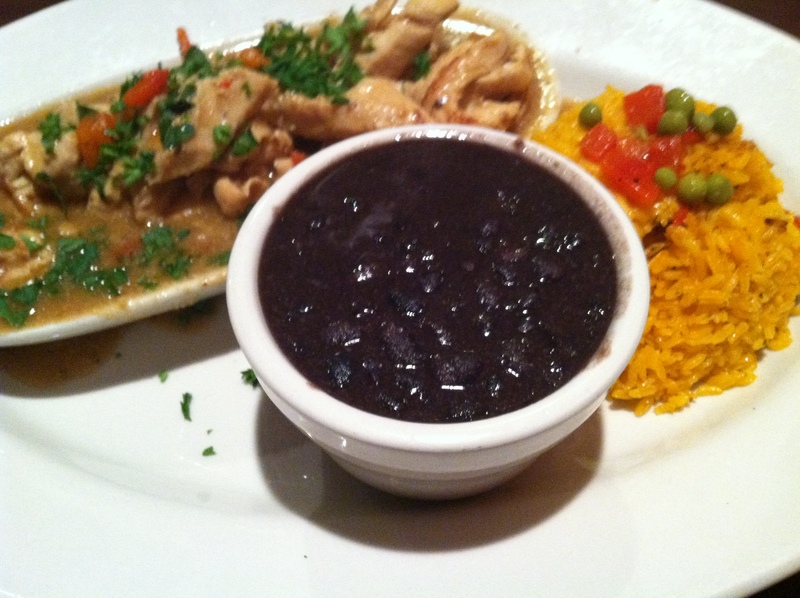 The hubby and I chose a local Cuban spot, Havana South, that has amazing dishes. Everything I have had there has been great; Cuban sandwiches, Paella, crab-stuffed fish, and marinated pork chops. I have been eyeing the oxtail the last couple of times, and tonight I decided to go for it! This dish did not disappoint! Fall off the bone, melty, rich meat; Perfection! 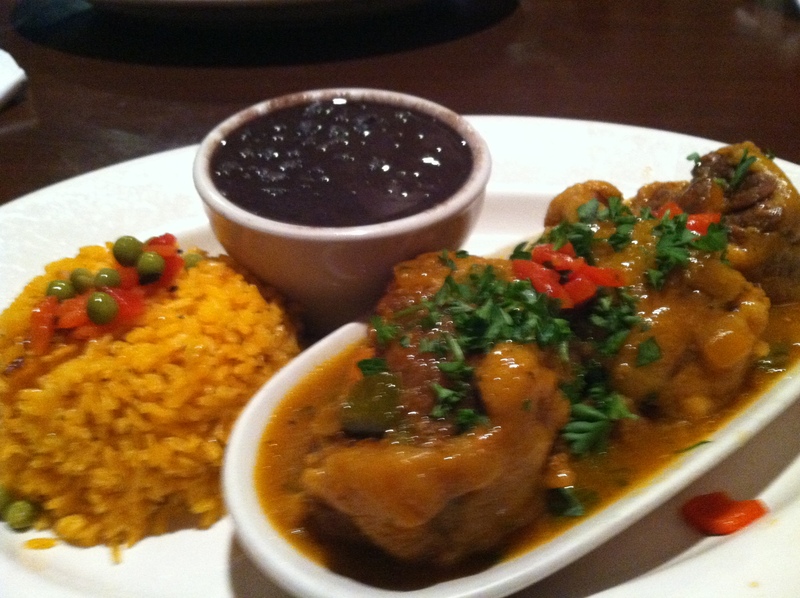 It came with 3 oxtails, pretty tasty black beans, and probably one of the best restaurant rice out there. I hardly ever eat the side dish rice. The hubby got the garlic chicken, and it was delicious as well. 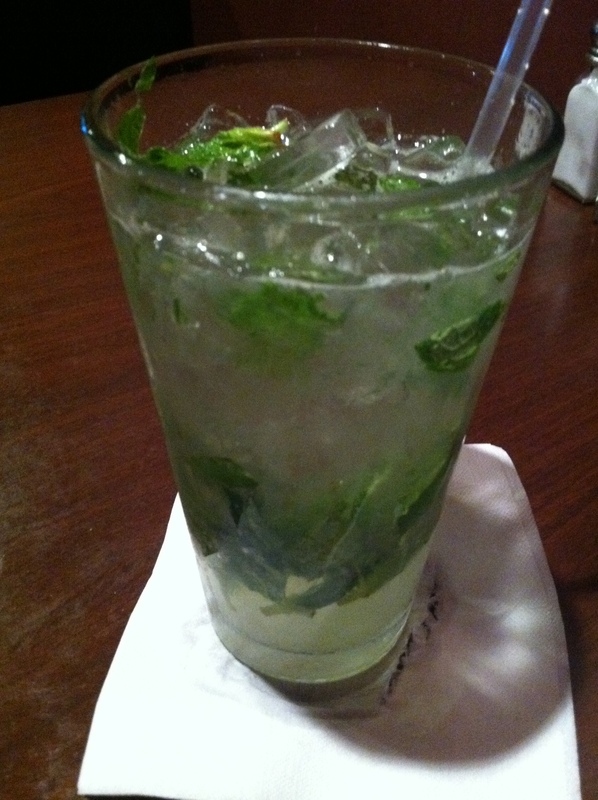 I saw a sign for mojitos when we first walked in, and each table we passed all had at least one. Of course, I had to get one! Great dinner out! Lots of food for your money; Leftovers for the weekend! Cheers to the freakin’ weekend!